Action from early this year with New Wave team. FEAT. Cristian Perez, Andrés Manso, Makako, Kalani Lattanzi, Antonio Cardoso. 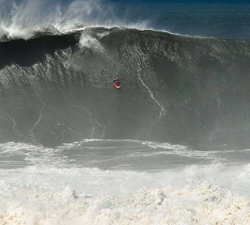 Brazilian bodyboarder Kalani Lattanzi’s air drop, and other carnage in and out of the water throughout the day in Puerto Escondido, Mex. Brazilian charger Kalani Lattanzi gets a new tattoo, mixed in with some action of him ripping in his home, the ocean. 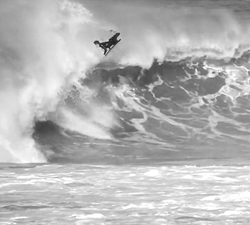 ALCATEL ONETOUCH Presents: Kalani Lattanzi and Dudu Pedra bodyboarding at home. Brought to us by DEXA. A short clip to celebrate Kalani Lattanzi’s latest sponsor, EL Cabron Mexican Restaurant and Bar. From Sand Filmes. 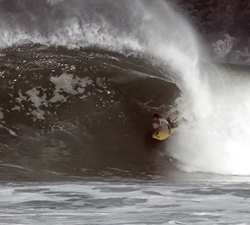 Fathers day at SHOCK, Itacoatiara, featuring Dudu Pedra, Guilherme Correa and Kalani Latanzi. From Alexandre Paredes. 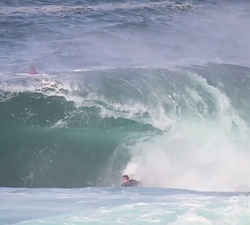 A few of Kalani Lattanzi’s better waves captured this year by DÊXA Produtora. Images and Editing: Guido Santos. 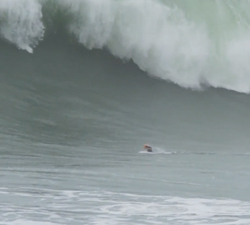 Big drops and heavy beatdowns from a recent session in Itacoatiara. Starring: Dudu Pedra, Kalani Lattanzi and Glen Thurston. Guilherme Correa, Dudu Pedra and Kalani Lattanzi, among others, throw themselves into bombs at the notorious slab, Shock in Brazil.